The Yard stands at the inception of PRSC and is the hub for anything that needs a hands on approach. 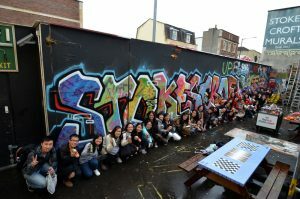 It is the perfect location for graffiti workshops, painting, and building. 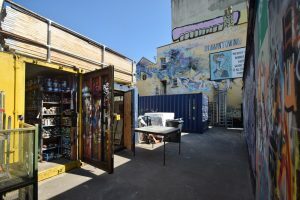 The site is home to three shipping containers, and an array of equipment and materials. 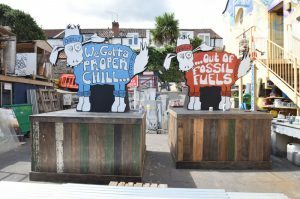 The Bear, the Dolly against fossil fuels: you name it, it was built right here. 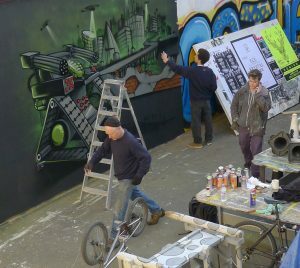 Within the Yard there is a whole practice wall, and can be used for graffiti workshops. 17-35 Jamaica Street, BS2 8JP. Access through the door at the left of the Stokes Croft China shop.